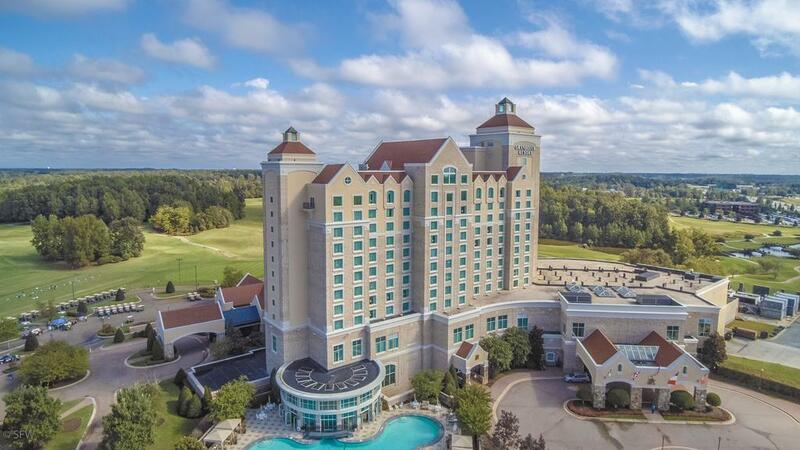 One of North Carolina’s premier conference centers, Grandover has been designed to function as a first class conference center with meeting rooms to suit every need. The lobby is decked out in rich stone flooring, massive chandeliers and lavish Victorian-style furniture, while the guest rooms feature green satin bedding and ornately framed artwork. Guests enjoy resort-style amenities including spa, two 18-hole golf courses and tennis. Visit their website at grandover.com.